As a heavy blanket of snow recently fell over the Shenandoah Valley, the avian community was busy searching for seeds or dried berries still visible and accessible above the record-breaking storm depths. With their usual landscapes transformed and the ground hidden, their food sources become more scarce. The redbirds and wrens, grosbeaks and waxwings are trying to find tiny morsels by flitting through gardens and re-visiting landscapes. 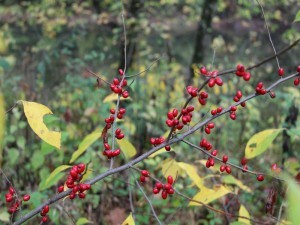 They would be fortunate to come across a spicebush (Lindera benzoin) with a few dried berries persisting this late in the winter, as the drupes are considered a high quality bird food. They are high in fat (lipid) content, providing valuable energy. 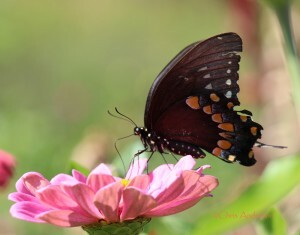 Because of their favored status with migratory bird species who need the extra fuel to continue on their long flights, the spicebush tends to get picked over quickly. 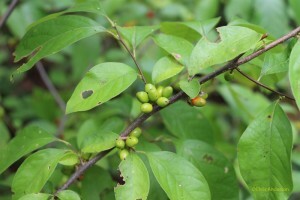 The spicebush is an understory species and grows 10-16 feet at maturity. Along the river trail at the White House Farm, numerous spicebush flourish under the cottonwood and sycamore trees, growing well with the Osage orange and occasional oak. Mammals do eat the berries – raccoons, oppossums and skunk – but the pungent, strong-tasting berries are not as palatable to them as the sweeter berries. 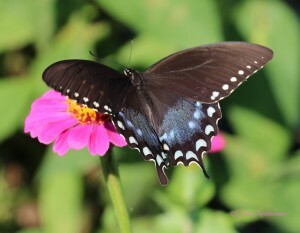 The spicebush is one of the earliest shrubs to bloom in the spring, flowering before the leaves emerge, and so is a valuable nectar source for bees. 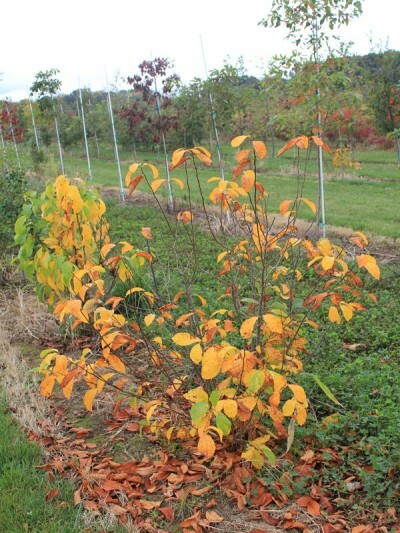 The assets that the spicebush brings to the landscape continue with humans – the shrub is aptly named for its pleasant, fruity-earthy-fresh fragrance and all parts of the shrub – bark, twigs, fruit and leaves – smell sweet. Reportedly, ladies in older times, attending country dances, would tuck the crushed leaves of spicebush into the top parts of their dresses or undergarments, in order that the fragrance might attract a particularly fetching partner. The finely chopped berries can be a seasoning in culinary pursuits – with uses similar to allspice. For the landscaper, spicebush can be a great understory selection. It prefers dappled shade and rich, moist soil, growing equally well on level or sloped ground. It is dioecious – a male and female plant is needed in order to cross-pollinate and produce viable berries. The bright yellow leaves in the fall are pleasing for a splash of understory color, particularly paired with canopies of yellows and browns produced by autumn sycamores and yellow birch. The bright yellow leaves serve as a ‘foliar leaf flag’, signaling the location to birds and alerting them that tasty and nutritious berries may be available. Stalking the Wild Asparagus-Field Guide Edition, Euell Gibbons, David McKay Company, Inc., New York, 1962, p. 124.